Congratulations to our very own Jeanne Denton-Scheck, who was just installed as President of Northeast Florida Association of Realtors (NEFAR). Jeanne is a long-time Realtor who joined Davidson in 2016. In her new role, Jeanne aims to involve more agents in the organization, specifically NEFAR’s younger professionals. She is also focused on encouraging members to take advantage of educational resources and courses (free to members). Jeanne spent 10 years teaching school before pursuing real estate and finds continuing education has been vital to her own growth—even after more than 20 years in the industry. Her focus on continuing education and her extensive experience make Jeanne a great asset to NEFAR. Jeanne has also served as District Vice President of the Women’s Council of Realtors. 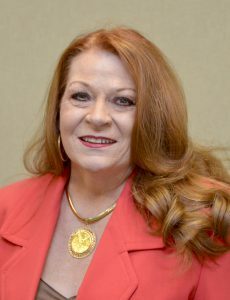 Jeanne’s appointment became official at NEFAR’s 2019 Install & Awards Gala on Thursday, January 17, at the Jacksonville Marriott. She kicked off her new responsibilities by presenting her “Sharing the Journey” message. NEFAR is the largest professional trade association in Northeast Florida, with about 9,000 Realtors and business partner members in Duval, Clay, Putnam and St. Johns counties. While she looks forward to her new responsibilities, Jeanne’s top priority is always her customers. Contact Jeanne at jdenton@davidsonrealtyinc.comor 904-868-6996.